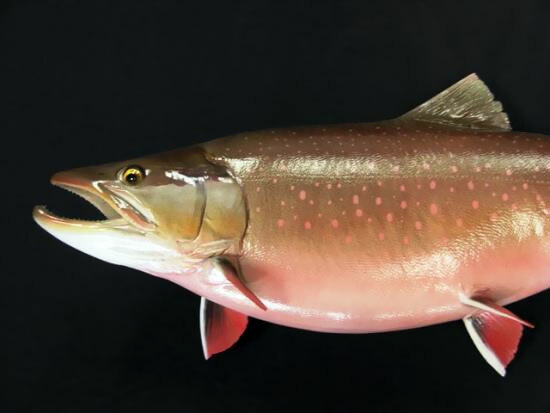 Arctic char or Arctic charr, Salvelinus alpinus, is a cold-water fish in the family Salmonidae, native to Arctic, sub-Arctic and alpine lakes and coastal waters. It breeds in fresh water, and populations can be either landlocked or anadromous, migrating to the sea. No other freshwater fish is found as far north; it is, for instance, the only fish species in Lake Hazen on Ellesmere Island in the Canadian Arctic. It is one of the rarest fish species in Britain, found only in deep, cold, glacial lakes, and is at risk from acidification. In other parts of its range, such as Scandinavia, it is much more common and is fished extensively. It is also common in the Alps, (particularly in Trentino and in the mountain part of Lombardy), where it can be found in lakes up to an altitude of 2,600 meters (8,500 ft) above sea level, and in Iceland. In Siberia, it is known as golets and it has been introduced in lakes where it sometimes threatens less hardy endemic species, such as the small-mouth char and the long-finned char in Elgygytgyn Lake. 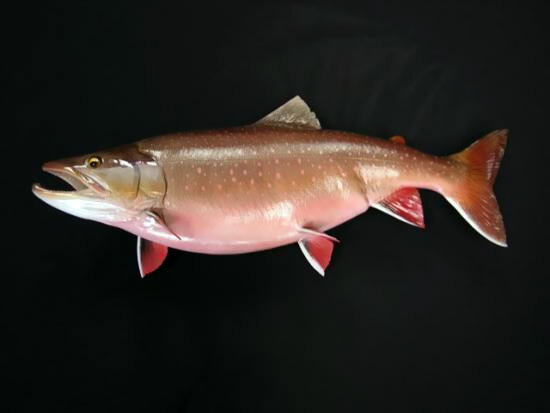 The Arctic char is closely related to both salmon and lake trout and has many characteristics of both. The fish is highly variable in color, depending on the time of year and the environmental conditions of the lake it lives in. 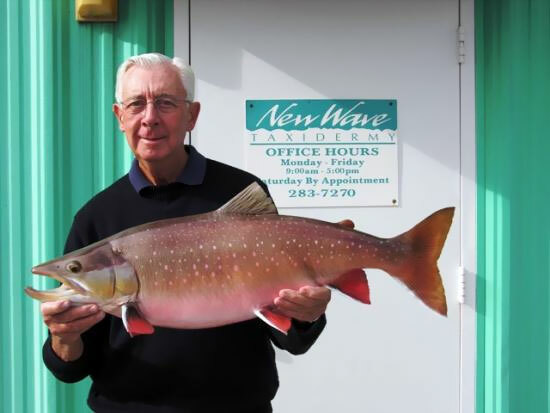 Individual fish can weigh 20 lb (9.1 kg) or more with record-sized fish having been taken by angling in northern Canada, where it is known as iqaluk or tariungmiutaq in Inuktitut. Generally, whole market-sized fish are between 2 and 5 lb (0.91 and 2.27 kg). The flesh color can range from a bright red to a pale pink.